Whenever people start to experience the chills, the first thing that they do is to check if they have a fever because chills and fever usually go together. While this may always be the case, you should remember that there are different reasons why you would be experiencing chills without a fever. Chills without fever is a feeling of coldness accompanied by chills or goosebumps, but no fever. This happens when the body is exposed to the extremely cold environment. For example, if you enter a cold place after doing the exercise, you will get goose bumps. When you get chills, this is your body’s way of telling you that it should try to rise up your temperature. It is going to make your muscles relax and contract. There are times when experiencing chills will not be able to improve your body’s overall temperature. You have to know what is the condition that is causing the problem in the first place. In order to know what you should do with the chills that you are experiencing, you first have to know what is causing your chills in the first place. If you would like to get rid of chills, you have to know the underlying problem. There are times when you are just feeling cold and you have to warm yourself up. Shivering – When your body is suddenly exposed to a cold environment, the body will produce heat through muscle contraction to increase the body’s internal temperature. Shaking is often accompanied by chattering teeth. Sweating – In a cold environment, your body will try to produce more heat, which will cause cold sweat in armpits. Goose bumps – Both fear and cold can cause goose bumps on the skin. With all of these things in mind, it will be easier for you to determine the main cause of getting chills without a fever. Hypoglycemia refers to the level of sugar in the body is so low that the body is unable to work properly. People who suffer from this condition normally have diabetes. One of the most common symptoms of having this condition is experiencing chills even without fever. When your body’s sugar level is very low, it will not be able to function properly. Hypoglycemia can cause chills without a fever. Other symptoms of hypoglycemia include dizziness, cold sweats, hunger, rapid heartbeat, headaches, sweating, anxiety and dizzy. If you feel that this condition is the main cause of your chills , you need to drink something sweet. This can be the temporary fix you need to get rid of the chills. Eating something sweet when you have diabetes may not be the best option. You may take something safer like apple cider vinegar in order to give you the needed sugar without the possible complications. Prolonged use of some medicine such as ibuprofen, Effexor, Voltaren and ondansetron may cause side effects like chills without fever. Sometimes, intense cold may be caused by Narcotic painkillers or drugs such as beta interferons. Make sure to read the medication packaging to learn potential side effects information. If you suspect that the drug is the cause of your shivering, you should consult your doctor immediately. Cystitis or Urinary Tract Infection may be the primary reason why you are having chills but you do not have any fever. When bacteria get into your urethra, the infection may turn more severe. Women are more likely to experience this infection than men. Urinating frequently: Cystitis can cause a feeling of a full bladder, this will make you go to the bathroom many times. Although there is not much urine every time. Smelly and bloody urine: In case of cystitis, it can cause cloudy and strong bad smell of urine. Sometimes you may notice blood in the urine. This is because inflammation causes a bladder infection that reaches the kidneys and causes red blood cells to enter the bladder. If you get a bladder infection, the first thing that you need to do is to have yourself checked by the doctor. You would have to prevent the infection from spreading to your kidneys because this will only make things worse. You will be recommended to drink a lot of water because this will help in flushing out the toxins from your body. At the same time, you can drink cranberry juice so that you can cure yourself faster. Some studies show that when you drink cranberry juice, this is also effective in preventing UTI to occur. Panic attacks, anxiety or stress can also cause hormonal imbalance that will affect the temperature regulation mechanism of the body.This will lead to uncontrollable chills without fever. The shivering may be accompanied by chest pain, nausea, heart beating and dizziness. These are the most common symptoms associated with anxiety disorders. If it is anxiety that you are having problems with, you need to try to relax. There are different ways that you can reduce your feelings of stress. Try to undergo meditation. Even if it would take just a few minutes, it will be enough to calm you down. Try to choose from different essential oils that can relax the mind and the body. Some of the recommended ones are bergamot, jasmine, lavender, and chamomile. Anemia is one of the most common causes of chills that aren’t accompanied by fever. It can occur when there are not enough red blood cells in the blood or when hemoglobin is low. This can cause headaches, dizziness, fatigue, and shake. In addition, the lack of iron can cause you to get anemia. A balanced diet can effectively help you prevent anaemia. You can eat more green leafy vegetables, beans, nuts, almonds, poultry, egg yolk and seafood. These are good sources of iron. Malnutrition may be due to inadequate nutrient-rich foods,anorexia or a poor ability of the body to absorb nutrients. Without enough nutrients, your body can’t work properly. Malnutrition can cause chills without a fever. Other symptoms include pale skin, rash, heart palpitations, dizziness, fatigue, drowsiness, or disorder of the female menstrual cycle. Moreover, malnutrition such as deficiency of vitamin B-complex can also make you more susceptible to anemia. This will also affect your ability to tolerate cold. Meat, dairy products, eggs, salmon, eel, and spirulina provide enough vitamin B12 to help prevent anemia caused by vitamin B12 deficiency. In order to cure malnutrition, you have to double check your diet. You can work with a nutritionist so that you can follow a healthy diet that will give you all of the vitamins that you need. This is the most common cause of chills without fever. When you move from a warm environment to a cold environment, your body will increase its temperature by contracting and expanding muscles to produce more heat. This will make your body start to shake. These types of chills will disappear after your body warms. But if your body continues to shiver, complications such as hypothermia or frostbite may occur. These conditions are serious, you should seek immediate medical help. There are times when getting chills and shaking are one of the first signs of getting hypothermia. This is a condition that occurs when your body temperature drops too much. This may happen when you plunge into icy water and your body cannot warm up. The chills are caused by your muscles contracting in order to warm up your body. If the hypothermia worsens, the chills will stop. The person will become disoriented and confused. Sometimes, people will have a hard time speaking. Adjust the room temperature so that it will be warmer. Put a warm blanket around the person. The thyroid gland is an endocrine gland located in the lower section of the neck. It can produces thyroid hormones that is necessary to regulate the body’s metabolism.Thyroid disorder can cause fatigue along with frequent chills without any fever. Other symptoms include depression, constipation, dry skin, weight gain, sluggish speech, and easy colds. A balanced diet is very important for your thyroid function. You should eat more healthy fats like seeds, nuts, coconut oil, fish, and legumes. In addition, you can take iodine supplements to enhances your thyroid function. Sometimes, lacking sleep may make you experience sudden chills from the body without fever. This is because your body temperature drops during sleep. If you do not have enough sleep, your body will try to lower the temperature of the heart when you are awake. Other symptoms include drowsiness, irritability, weight gain, yawning, depression, and mood swings. If this is your problem, you know that you just need to get enough sleep. You can take a break from work and just sleep. It will allow your body to recover. The chills are sometimes caused by allergic reactions. When you are exposed to an allergen or bitten by an insect, you may have a cold without fever.Spider bites are the most common cause. Most spider bites are harmless, but some spiders, such as black widows or brown spiders, can cause allergic reactions to you, causing you to have chills or irritations such as muscle cramps, headaches, vomiting and nausea, rashes, and joint stiffness. If you are bitten by these spiders, emergency medical measures should be taken to avoid life-threatening symptoms. In some cases, the person who suffers from food poisoning may experience chills without fever accompanied by vomiting and diarrhea. If serious food poisoning occurs, you need to see your doctor immediately. Dehydration of the body causes the muscles to begin to contract, causing chills without fever. Other symptoms include dizziness, headaches and low body energy. To get rid of chills caused by dehydration, you can drink hot water. Remember to avoid cold water, otherwise it will aggravate the condition. They are called postoperative chills. This is a symptom that often occurs after surgery. It can lead to chills without fever. This is often due to a decrease in surgical temperature or an anesthetic product. Menopause can change the hormone levels in the body, which will affect the body’s brain temperature control center (the hypothalamus). This condition will result in the redness and the sensation of heat accompanied by chills without a fever. Other symptoms include a headache, fever, redness, excessive sweating, anxiety, insomnia, joint pain. This is a condition wherein the blood is already infected. Having this blood infection can cause multiple organ failures, drop in blood temperature and blood clotting. This is a life-threatening condition. Those who undergo sepsis may or may not have a fever while they are suffering from chills. If you start to feel like you have this condition or you suspect that someone you know has this condition, you need to consult with your doctor immediately. Seasonal flu: The most common symptoms of flu are chills, fever, pain and lack of energy. Malaria: High fever with chills on 48-72 hour cycles is one of the major symptoms of malaria. Sore throat: This infection can cause sudden fever and chills. Tuberculosis: This is a bacterial infection that affects the lungs. The symptoms caused by tuberculosis include fever, chills, weight loss, and cough that may last for three weeks. Pneumonia: Chills and fever are common symptoms of pneumonia. Other possible symptoms are chest pain, breathing difficulties, cough and a headache. Meningitis: Viral infections that cause meningitis generally improve without treatment. However, bacterial meningitis infections are very serious and dangerous. Meningitis can cause symptoms such as chills, high fever, nausea, vomiting, a headache, photophobia and a mental confusion. Joint diseases: Some joint diseases such as rheumatoid arthritis can cause fever, joint pain and swelling. AIDS: People with AIDS have a weak immune system,this will increase the risk of infection. People with compromised immune systems are more likely to have chills and fever than others. Kidney infections: Kidney disease can cause toxins to accumulate in the body. The common symptoms include chills and increased body temperature. Cancer: Several cancers can cause fever and chills. Pelvic inflammatory disease: Bacterial infection of the upper genital area such as uterus, ovaries, and fallopian tubes can cause pelvic inflammatory disease.Symptoms include fever and cold chills. Appendicitis: Lower abdominal pain may indicate a serious case of appendicitis if accompanied by fever, chills and other symptoms such as Nausea, Vomitings, Constipation or diarrhea. Chicken soup is considered one of the best home remedies to fight the symptoms of respiratory tract infections and chills. Eat hot chicken soup as soon as you feel chills. Chicken soup ingredients are easy to digest and high in protein. Herbal tea is beneficial for controlling the frequency of chills. It includes a lot of vitamins and minerals needed by the body. It also soothes your body and helps restore energy. Drink 3-4 cups of herbal tea in one day. For a better taste, you can add honey or sugar. If you experience a sudden attack of chills, take a warm bath to soothe your body is the best treatment. This will calm down and warm up your body. Try to avoid cold environment for 10-20 minutes after a warm bath. Drinking hot water is a good remedy for chills without suffering from fever, as dehydration may be the cause behind your chills. The warm water not only keeps you hydrated but also the warmth of your body temperature. Exercise such as a walk can help you reduce the frequency of chills. You should continue to do this exercise for at least a week. Make sure to wear warm clothes while doing exercise. Always dress appropriately especially if you are going to be in a cool place. If you have not slept properly at night, you are more likely to get chills while you are awake. 8-9 hours of sleep at night will significantly reduce the severity of your chills. The bedroom should be warm or use a warm blanket while sleeping. Because the temperature of your body gets colder in sleep. In case of chills without fever, eating a healthy diet on a regular basis can make you feel better. Remember to eat protein meals and do not enrich any meals. You should include boiled or steamed green vegetables and fresh fruit. If you get a random or sudden attack of chills, consuming vitamin B supplements can be effective. Chills without fever cause your body to lose extra energy by shaking. This will make your body experiences fatigue and headaches. That’s why you need an immediate energy boost to make your energy body a vitamin B supplement. 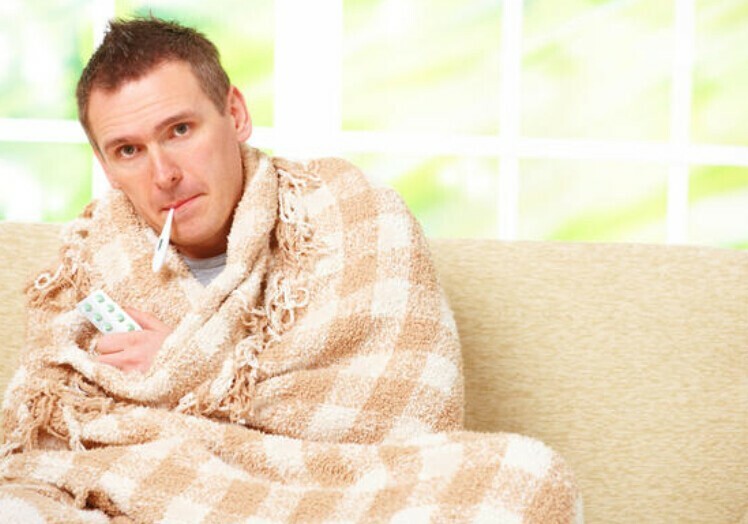 Chills without fever is a common phenomenon. It can be cured at home by applying one of the home remedies mentioned above. First, try to find the cause of your chills and what to do? 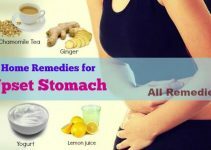 If the chills are severe then do not rely only on home remedies, you must visit a hospital for the proper treatment.